Paul Myers brings a wealth of experience to his role as Administrator for the Florida Department of Health in Alachua County. He started at DOH in 1988 as an Environmental Health Inspector, was promoted to an Environmental Supervisor in 1994, and then became the Environmental Health and Epidemiology Director in 2000. 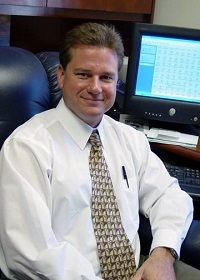 In 2008, he became the Assistant Administrator for DOH-Alachua until he became its Administrator in 2012. Paul also served as Interim Administrator for DOH-Gadsden in 2011. In 2014, Paul served as Interim Deputy Secretary for County Health systems providing leadership and guidance to the 67 County Health Departments (CHDs) throughout the state. In 2016 he was officially appointed to this role and continues to serve in that expanded capacity. Paul has a Bachelor of Arts degree in Liberal Arts and Sciences and a Master's of Science degree in Environmental Engineering, both from the University of Florida.